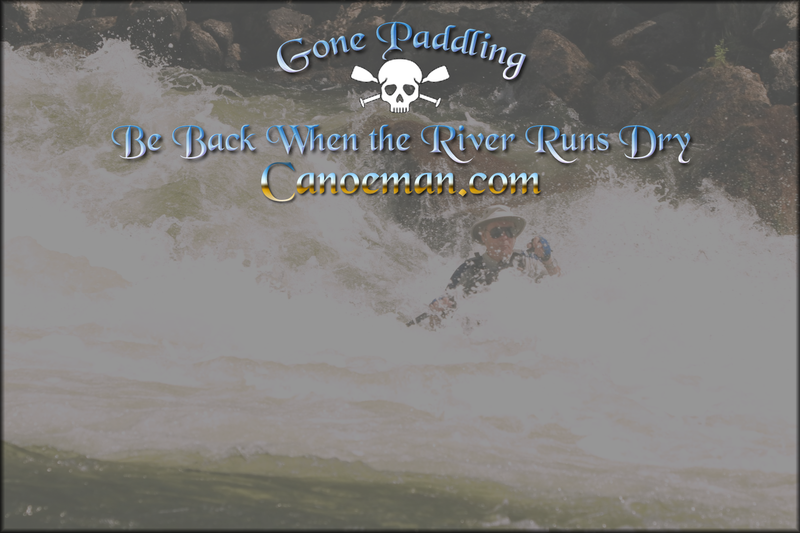 Welcome to Canoeman.com, the gateway to the personal and professional web sites of Marc W. McCord, a.k.a. Canoeman. Marc is a Class IV whitewater open canoeist and professional river guide who enjoys remote wilderness expeditions, especially on whitewater rivers. He first paddled a canoe in Boy Scouts in the late-1950's, then began river paddling in 1975, while working as audio engineer for a Seattle-based rock band. In 1990, Marc began paddling whitewater rivers in Texas, Oklahoma and Arkansas. While his preference is wild whitewater rivers he freely admits to enjoying more serene waters on scenic rivers in the company of friends and clients. He has logged over 1,000 miles paddled in canoes for 16 of the last 20 years, the other four years failing to reach that plateau due to drought and low water conditions. His passion for canoeing is exceeded only by, well ... NOTHING! Though rivers have come close to taking his life on several occasions they have also provided the pinnacles of excitement and joy that makes life worth living. As Rat said to Mole in Kenneth Grahame's epic The Wind in the Willows, "Believe me, my young friend, there is nothing - absolute nothing - half so much worth doing as simply messing about in boats..." That is Marc's perspective on life in a nutshell. When he is not paddling Marc works as a web designer, both for clients as well as for his own amusement and to share information with others. 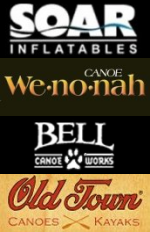 Several of Marc's web sites provide information and photographs about canoeing, kayaking and rafting in the southwestern United States. Southwest Paddler is a comprehensive information resource for outdoor recreation in eight states. Canoeman River Guide Services provides information about guided river trip services Marc offers for the benefit of his clients. Lone Star Paddler is Marc's personal canoeing web site, and offers a prolific photo gallery of trips taken, in addition to galleries found on this website. This portal also provides a path to Marc's CobraGraphics-designed web sites, friends' web sites and environmental advocacy groups web sites, as well as those of Marc. Each link on the buttons to the left will take you to an index page of related sites. Visitor comments and suggestions are always welcome and appreciated. Canoeman has moved to Idaho where the water is white and world class. His home is in Gem County near the Payette, Snake, Boise and Weiser Rivers, and within a relative short drive of the Salmon, Clearwater, Lochsa, Owyhee, Bruneau and other spectacular rivers of Idaho, Oregon, Washington, Utah, Montana and Wyoming. His new "home" river is the Payette, where he paddled 28 times in 2016 and 59 times in 2017. The following link shows how to cool down on a hot summer day in Idaho. The photos are of Howard's Plunge, a Class III+ drop on the North Fork of the Payette River at Smith's Ferry: Howard's Plunge. The swim in this slideshow was intentional, though one two weeks later at the same spot was not a planned event thanks to a scantily clad woman waving at him as he entered the drop causing him to lose focus on the task at hand. In 66 Cabarton runs in 2016 and 2017 these were the only two capsizes, though the river came close to making him swim on numerous occasions, especially when flows were in the 1,800 to 2,500 cfs range and the waves were bigger and more violent. If you do not get an immediate reply, then it probably means he is Somewhere On A River, probably in one of his SOAR Inflatable Canoes.